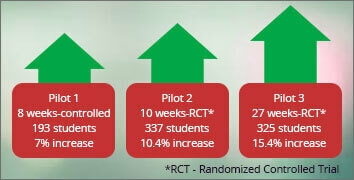 Students achieve higher grades and test scores that continue to rise with daily practice. Students have fewer disciplinary instances including suspensions, detentions and bullying. Teachers experience less stress and more enjoyment in teaching. Students achieve higher grades and test scores that continue to rise with daily practice. Social emotional competence in children is called ‘Readiness to Learn’ and is more predictive of life success than IQ. 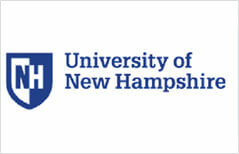 It’s defined as the ability to regulate emotions and behaviors and to inhibit impulsivity. The challenge is that students often come to school with lots on their minds. While their bodies are in their chairs, their minds are elsewhere. Readiness to Learn can be fostered through daily mindfulness practices, leading to less stress, better school performance and improved life outcomes. The IE programs help students develop a daily mindful awareness practice, instilling the possibility of a lifelong habit. The programs have a positive impact on academic outcomes including 18-28% higher scores in reading, math and science and a 7-15% improvement in overall GPA, with longer times producing greater effects. 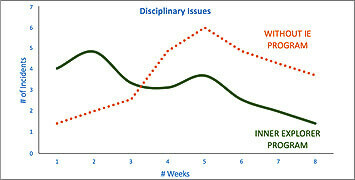 Students have fewer disciplinary instances including suspensions, detentions and bullying. Classrooms that participated in the program experienced a 63% reduction in behavior problems (from an average of 3.8 issues per day in Week One to 1.4 issue in Week Eight). The classrooms that didn’t participate increased their behavior problems by 10% from an average of 2 issues per day in Week One to 2.2 issues a day in Week Eight. Teachers experience less stress and more enjoyment in teaching. Teachers are expected to help students manage their emotions and behaviors, yet are often not trained in the most effective ways to do so. By practicing mindful awareness skills each day with their students, teachers can foster a collaborative educational experience. The 10-minute a day program can fit within existing curriculum plans during normal transition times without extensive training. There is no prep or planning and no assessment required. Teachers simply launch the program from any networked device and press ‘Play’. As a result, teachers experienced 43% less stress than control classroom teachers (based on Perceived Stress Scale-PSS). They also experienced an 46% increase in their level of mindfulness. (based on Mindful Awareness Attention Scale - MAAS) Teachers also say they feel more confident managing their class and report that they can cover more academic material each day. The program helps teachers as much as it helps students! 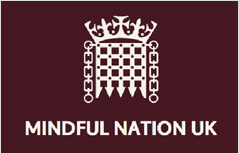 Mindful Nation UK, which you may have seen, is the first policy document of it's kind, containing recommendations for using mindfulness to address mental health concerns. The report covers four major areas: health, workplaces, criminal justice and education. Inner Explorer is noted in the report under education section (page 32)! Huffington Post article highlights compelling research on Inner Explorer related to the Mindful Nation UK report. The article points out our unique potential to effectively scale, this reaching all the students in K-12 schools.